The Florida Gator baseball team takes on the North Carolina Tarheels to avoid elimination from the NCAA Tourament. 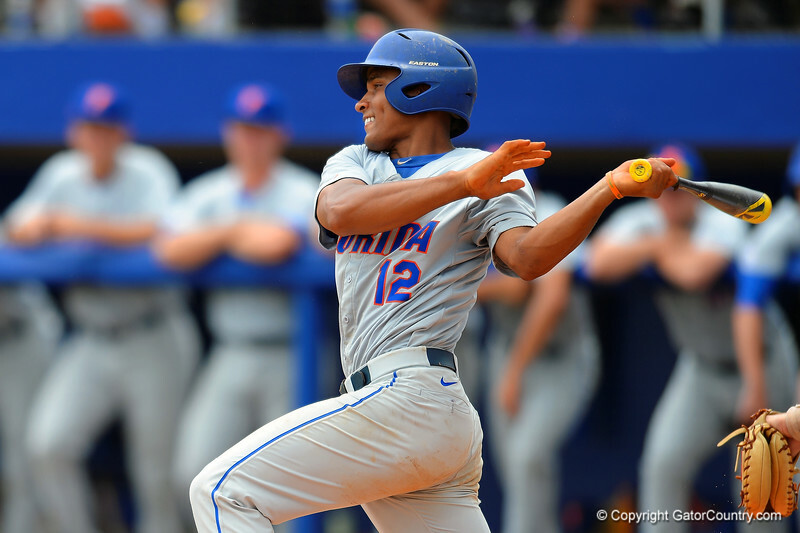 The Florida Gators host the University of North Carolina in the second round of the NCAA Baseball Regionals. Florida SS Richie Martin swings and drives a ball in the third inning. NCCA Baseball Regionals. May 31st, 2014. Gator Country photo by David Bowie.